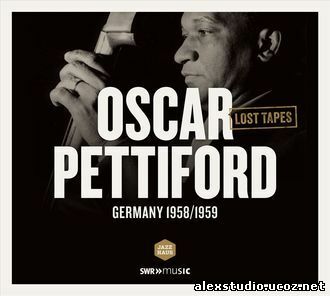 Oscar Pettiford – Lost tapes (Germany 1958/59) - Форум "Клуба коллекционеров"
When Oscar Pettiford fi rst arrived in Germany in September 1958 he could scarcely believe the enthusiasm with which his music was received there. Not that he had been short of success to that point – he had been a pioneer of bebop in the quintet of Dizzy Gillespie and Max Roach even before Charlie Parker’s breakthrough. It was the dawn of a new jazz era and with it the bass became a solo instrument. In Stuttgart 15 years later, Pettiford met Joachim-Ernst Berendt, who immediately persuaded him to come and record in Baden-Baden, enlisting the help of the fi nest soloists Europe had to offer at the time: Hans Koller and Attila Zoller, trumpeter Dusko Goykovich, pianist Hans Hammerschmid, and the first-rate clarinettist Rolf Kühn. Kenny Clarke and Lucky Thompson were brought in from Paris. Everyone who worked with Pettiford enthused about his bold melodic ideas, the bounce and swing of his playing. Between autumn 1958 and the summer of 1959 these sessions resulted in a set of unique recordings, standards mostly, which provided the alternating ensembles with a harmonic basis from which to launch into improvisation. Pettiford‘s duet with Goykovich on Gershwin‘s “But Not For Me” is brisk yet elegiac; Koller’s lays down a cool interpretation of “The Nearness Of You”, before the bass demonstrates its melodic power; and in “All The Things You Are” Pettiford shows what the cello can do as a solo instrument. O.P. moved to Baden-Baden, then to Copenhagen, touring and playing frenetically – as if driven by a notion. Pettiford died on 8 September 1960, less than two years after arriving in Europe, as a result of injuries sustained in a car crash. His colleagues organised benefi t concerts in several countries to provide for his family. As one of fourteen children himself, their welfare had always been his primary concern.